That has to be one of the most overused statements to date but it is true. All over Instagram, we are seeing spring spring spring. And the other night we literally received a bucket of snow and some cold temperatures. Since I am not shopping this month there is, tons of pieces that are totally worth investing in right now! 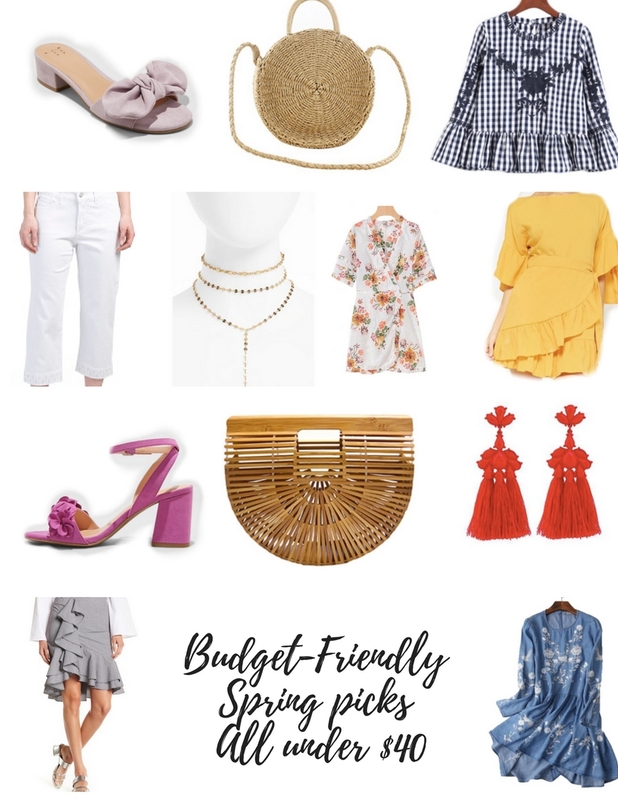 One of the reasons I wanted to share about some budget-friendly picks was because of how awesome places like target are doing with creating awesome quality pieces that are affordable this spring. Additionally, it is no joke that bloggers love to shop and refresh closets from season to season. However, that isn’t realistic to some people. I am one of those people that does, not believe in going and constantly shopping. For one closet space is uber-limited, and also because its silly. So when I do find things that I would like to add to my capsule collection for the season. I make sure to look at so many factors. Will this be valuable? How long can I use this? Will it stay in vogue for long? With those questions being asked I am about to go and create pieces I want and pieces I think would make an impact in my wardrobe. I decided to round up some of my very favorite pieces of right now! All under $40 and perfect for that spring capsule collection! I linked some of my very favorite budget-friendly pieces below!! !